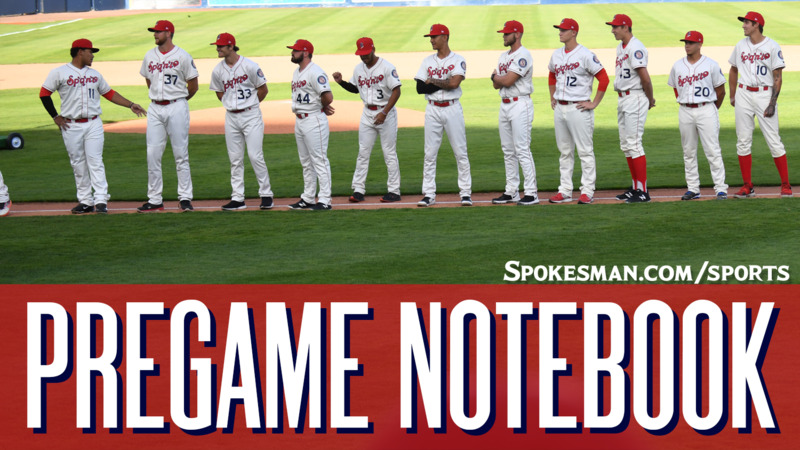 The Spokane Indians (3-0) face the Hillsboro Hops (3-0) in the first of a five-game Northwest League series at Avista Stadium at 6:30 p.m. The Indians send Ryan Dease (3-2, 5.58) against the Hops’ Matt Tabor (1-1, 4.68). Dease is 3-0 at Avista Stadium this season, but last time out against Hillsboro the 2017 fourth round pick was hit hard, allowing six earned runs on seven hits. Tabor, the third-round pick of the Arizona Diamondbacks in the 2017 Draft, earned the win that night with five shutout innings. He’s allowed 12 earned runs in his last seven starts. Player to watch: SS Jax Biggers. He’ll occupy this spot until his hitting streak ends, which is up to 11 games after a fifth inning single last night. It’s the longest hitting streak by an Indians player this season. The recently-promoted Miguel Aparicio had a 12-game streak earlier this year but it was a carry-over from last season. Last night: Isaias Quiroz hit a broken-bat single to plate the go-ahead run in the eighth inning and the Indians (3-0) handled the visiting Dust Devils (0-3) 5-3 for their third straight win to start the . Diosbel Arias went 3 for 4 with an RBI and run and Cristian Inoa went 2 for 4 with an RBI. Starter Seth Nordlin struck out eight over 6.1 innings and allowed three runs in seven hits and a walk. Emmanuel Clase (1-1) allowed a hit and a walk with two strikeouts over two shutout innings. Weather: Game time – Partly sunny, 92. Final out – Partly cloudy, 74. Published: July 27, 2018, 5:11 p.m. Updated: July 27, 2018, 5:18 p.m.